Richard Feldman, MD, of Indianapolis, has been appointed to serve as chair of the American Academy of Family Physicians’ Commission on Education for a one-year term beginning 12/15/18. The Commission on Education is one of eight commissions that direct AAFP policies and programs. The mission of the Commission on Education is to provide a venue for the development of recommended policy and the dissemination of expertise and new information related to the education and professional development of family physicians until completion of the residency training period. Dr. Feldman serves as Associate Director and Director of Medical Education at Franciscan Health in Indianapolis. Dr. Feldman most recently served as Franciscan Health Family Medicine Residency's Program Director for the past 36 years, the longest tenure ever for a family medicine residency director nationally. He was the 2014 recipient of the Nikitas J. Zervanos Outstanding Program Director Award presented by the American Academy of Family Physicians and the Association of Family Medicine Residency Directors. Dr. Feldman earned his BA at Indiana University in 1972 and his medical degree from Indiana University School of Medicine in 1977. He completed his family medicine residency in 1980 at St. Francis Hospital in Beech Grove. He serves as an Associate Professor, Marian University College of Osteopathic Medicine and as a Clinical Assistant Professor of Family Medicine, Indiana University School of Medicine. He is a member of Phi Beta Kappa and Alpha Omega Alpha. He has special clinical interests in vaccines and dermatology. Personal interests include golf, art collecting, and Native American studies and religion. He was adopted into the Haida Nation (British Columbia and Alaska) in 1996. His wife, Becky, is also a family physician (retired). Dr. Feldman is the father of three grown boys. Another part of Dr. Feldman's career has been in public health. Appointed by Governor Frank O'Bannon, he served as Indiana's Commissioner of Health from 1997 to 2001. He continues his work in public health and healthcare policy as an editorial columnist for a number of Indiana newspapers including the Indianapolis Star. He has a great passion for writing and is an amateur historian, authoring a number of historical articles both on medical and non-medical subjects. He is also the author of two books, the latest an oral history entitled, Family Practice Stories: Memories, Reflections, and Stories of Hoosier Family Doctors of the Mid-twentieth Century. 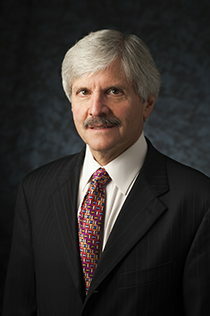 Dr. Feldman has been involved in organized medicine and among other positions served as the President of the Indiana Academy of Family Physicians in 2003-2004.